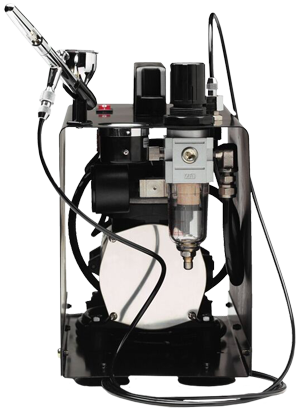 The Power Jet Lite compressor features a powerful twin-pump, 1/6 HP induction motor and is equipped with a pressure regulator and pressure gauge for precise adjustment of airflow. 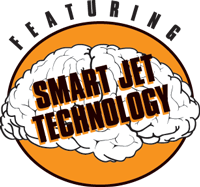 The Power Jet Lite is twice as powerful as the Sprint Jet compressor. 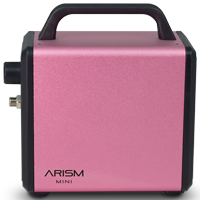 It doesn’t have a tank reservoir, yet delivers all the power necessary for running one or two fine airbrushes, or one high-flow airbrush, or one small spray gun. A multiple-outlet manifold is additionally required to connect two airbrushes. 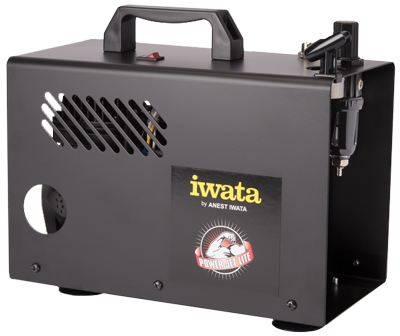 Built with Iwata’s Smart Technology, it automatically turns the compressor on when you press your airbrush trigger, providing instant air at the pressure you have set it, and turns the compressor off again when the airbrush is not in use. 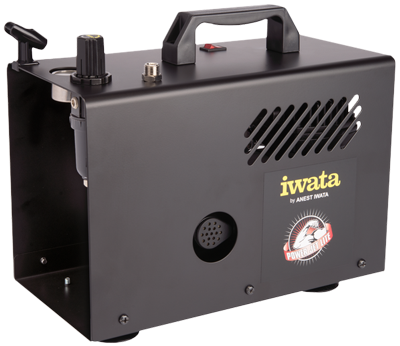 Like all Iwata Studio Series compressors, the Power Jet Lite comes complete with an airhose and adapters so it can hook up to any brand of airbrush. View our guide for the applications the Power Jet Lite is best suited for. Access holes in compressor case allow users to more easily change the intake filters without having to remove the case adding to ease of maintenance. New moisture filter/air pressure regulator assemblies. Updates to case label and carton artwork. Revised included accessories are more beneficial to the end user now that replacement filters has been added. Duty cycle: 60 minutes continuous use. Please allow the motor to rest for at least 20 minutes after each cycle of continuous use. Compare these features to other Iwata compressors. If you require further advice on choosing the most suitable equipment for you needs and budget please contact us.